Wiremold Tele-Power® AMDTP Series Telephone power pole features aluminum construction with satin anodized finish. 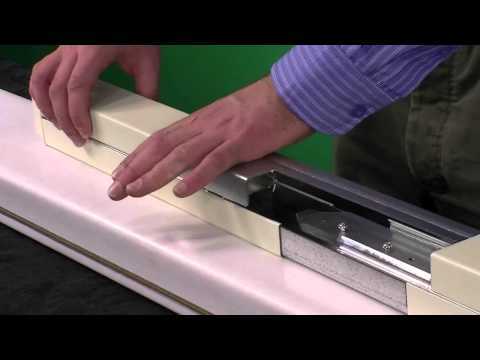 It measures 15-ft 5-Inch x 2-1/4-Inch x 2-5/16-Inch. This pole has voltage rating of 125-Volts and current rating of 20-Amps. It has 2-duplex receptacle configuration. 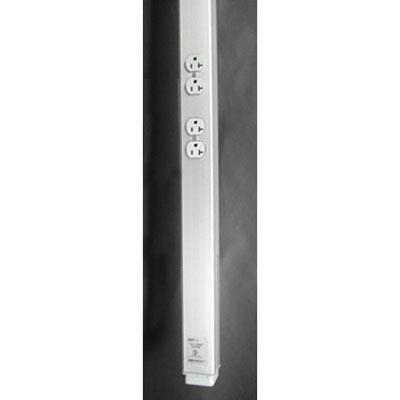 This pole helps you in bringing power, data and A/V services into open space environments. It supports quick reconfiguration or relocation as workspace uses and service needs change. Dual-channel pole allows a single drop point for access to multiple services. This 2-compartment pole accepts industry standard and proprietary devices providing a seamless and aesthetically pleasing interface for voice, data, audio as well as video applications. It comes with feed fittings, ceiling trim plates, T-bar mounting hardware and carpet/floor grippers. This pole with entrance end plate, has all necessary things for a complete and stationary installation to meet a variety of installation scenarios. This 8-Inch removable cover at the top front of the pole facilitates power wiring connections. Pole is UL listed.